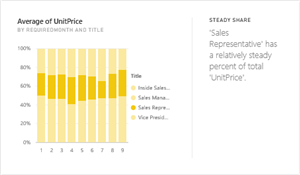 Month Ago Microsoft Release a new features for power bi, Power BI’s Quick Insights.Lately there have been many upgrades in this regard that have greatly improved this feature. 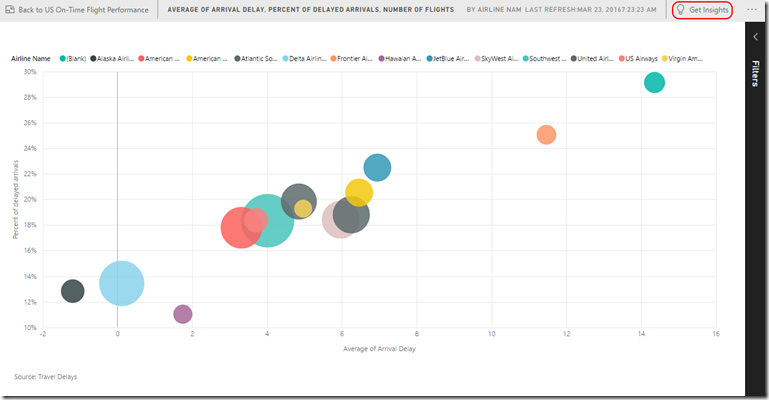 IN this article i try to show you what we can do with power bi Quick Insight. 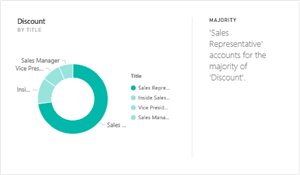 What is Power BI Quick Insight? 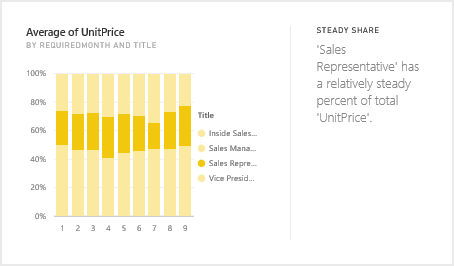 Power BI’s Quick Insights feature allows you to run a variety of analytical algorithms on your data to search for potential insights with the click of a mouse. 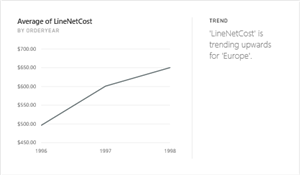 Microsoft Research introduce and create a growing list of algorithms to discover and visualize correlations, outliers, trends, seasonality, change points in trends, and major factors within your data, automatically, within seconds. What Does Power BI Quick Insight? 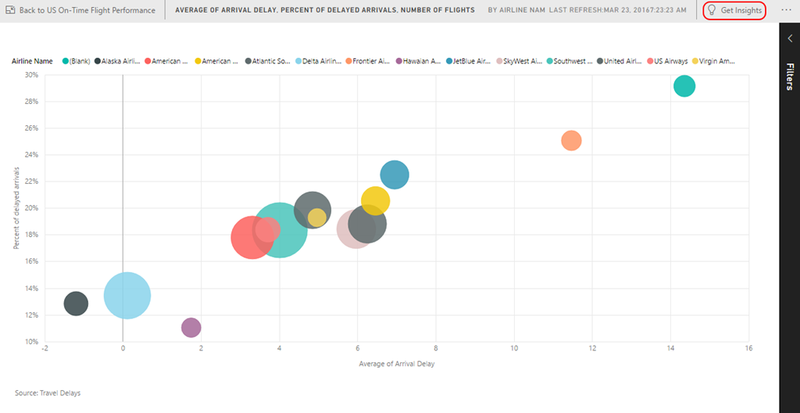 Whe you select “Quick Insights” for a dataset uploaded to Power BI, for 10-12 seconds Power BI will iterate across your data searching for subsets of data you may find interesting. 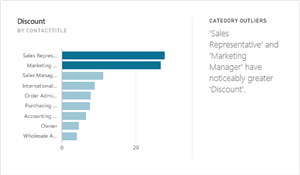 If it finds something that meets the criteria of one of Microsoft insight categories you can visualize it. WHat Type of Insight can we Find? Finds cases where a majority of a total value can be attributed to a single factor when broken down by another dimension. Highlights cases where, for a measure in the model, one or two members of a dimension have much larger values than other members of the dimension. For data across a time series, detects when there are specific dates or times with values significantly different than the other date/time values. 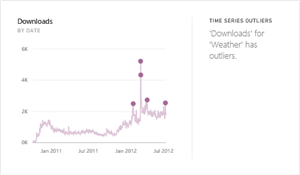 Detects upward or downward trends in time series data. 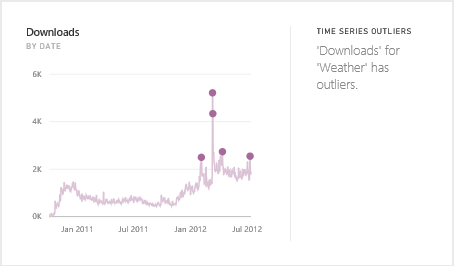 Finds periodic patterns in time series data, such as weekly, monthly, or yearly seasonality. Highlights cases where there is a parent-child correlation between the share of a child value in relation to the overall value of the parent across a continuous variable. 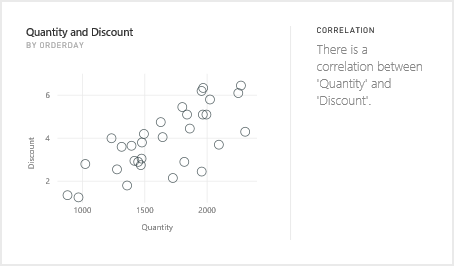 Detects cases where multiple measures show a correlation between each other when plotted against a dimension in the dataset. 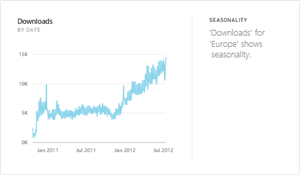 A description of each potential insight and an appropriate visualization of the data is provided to help you understand if it is indeed interesting. If you like something you see you, can pin it to a dashboard with one click. This feature use all dataset and show you all possible insight. Power BI Quick Insights will now scan the data related to the tile and display a list of potential insights you may want to explore further. To drill into a specific data point, you can even select data in the visual and Quick Insights will focus on that data point when searching for insights.